Everyone welcome to enter! Contestants will be tested both physically and mentally. 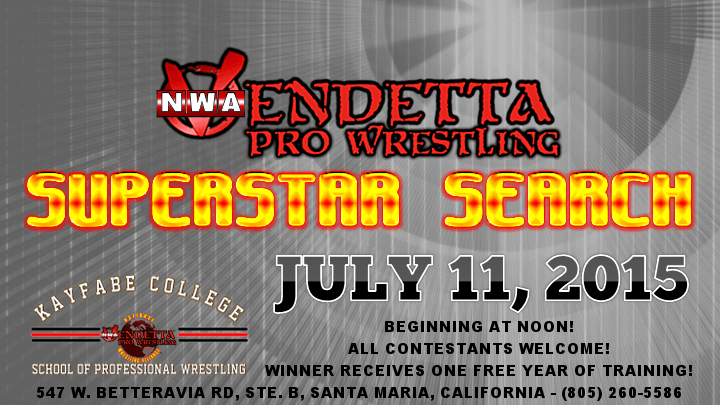 The winner will receive a free year of training at Vendetta Pro Kayfabe College!